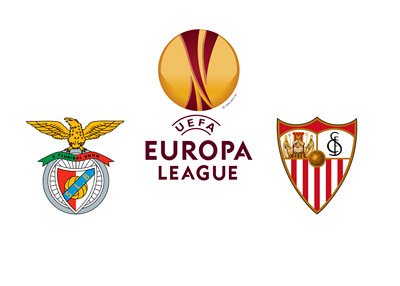 The newly crowned Portuguese champions, Benfica, meet the Spanish side, Sevilla, in the UEFA Europa League final on Wednesday, May 14th, 2014 at the Juventus Stadium in Turin. Benfica earned their spot in the final by eliminating Paok Salonika, Tottenham Hotspur, AZ Alkmaar and finally Juventus, after making their way to the Europa League by finishing third in a UEFA Champions League group featuring, PSG, Olympiakos and Anderlecht. Benfica last won a European trophy back in 1962 and have since been in seven finals. Benfica were in the final of the Europa League last year, where they lost to Chelsea FC with the score of 2-1 in the third minute of added time. Last season, Benfica fell short of winning the domestic league, the domestic cup final and the Europa league, all within two weeks. The Portuguese side are hoping they can end their unlucky final streak on Wednesday. Sevilla FC started their European journey in the third qualifying round of the Europa League. After eliminating Mladost Podgorica and Slask Wroclaw, Sevilla finished first in a group featuring FC Slovan, SC Freiburg and Estoril Praia. In the elimination phase of the tournament, Sevilla knocked out Maribor, Real Betis, FC Porto and finally Valencia, with a thrilling injury time comeback. Sevilla have won the UEFA Europa League twice, back to back, in 2006 and 2007. The team's leading striker, Kevin Gameiro is under a question mark for the upcoming final, due to a knee injury. While anything can happen in a one match cup final, Benfica, who have had an impressive season so far, are the favourites to win in Turin. It will be interesting to see how things play out. It should be a great match!